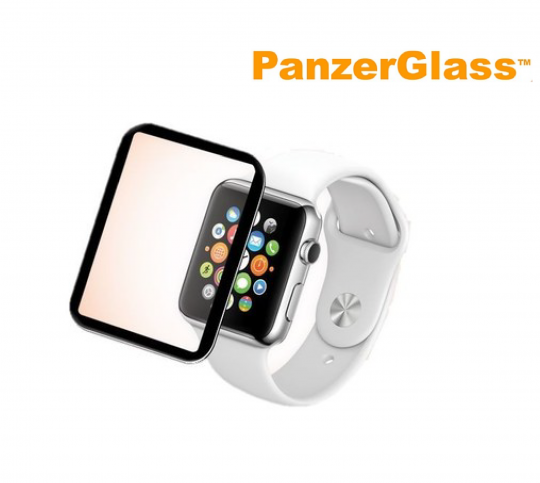 Panzer Premium Glass For Apple Watch 38mm PanzerGlass’ latest addition to the award winning PanzerGlass screen protection takes another quantum leap with the introduction of the PanzerGlass AppleWatch. 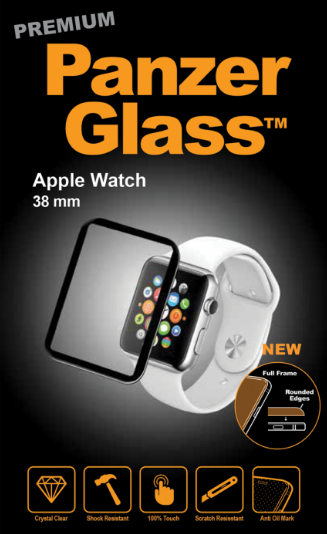 With curved edges to perfectly align with the design of the Apple Watch and a second to none, ’best in test’ impact- and scratch protection, The PanzerGlass Apple Watch screen is sure to provide ease of mind when it comes to one of the most precious and vulnerable gadgets on todays market. Available for both the 38mm and the 42mm, the PanzerGlass AppleWatch screen represents the best protection from impact- and scratch damage.